Is Vote Fraud Encouraged by Governments Because the Resulting Crisis Can be Used to Justify Real ID Cards? Activist Gary Gileno says that vote fraud is orchestrated and planned, which he says is proved by the fact that no one ever goes to jail for doing it. 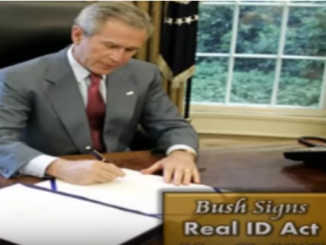 President Trump has made it a priority to implement Real ID by 2020.